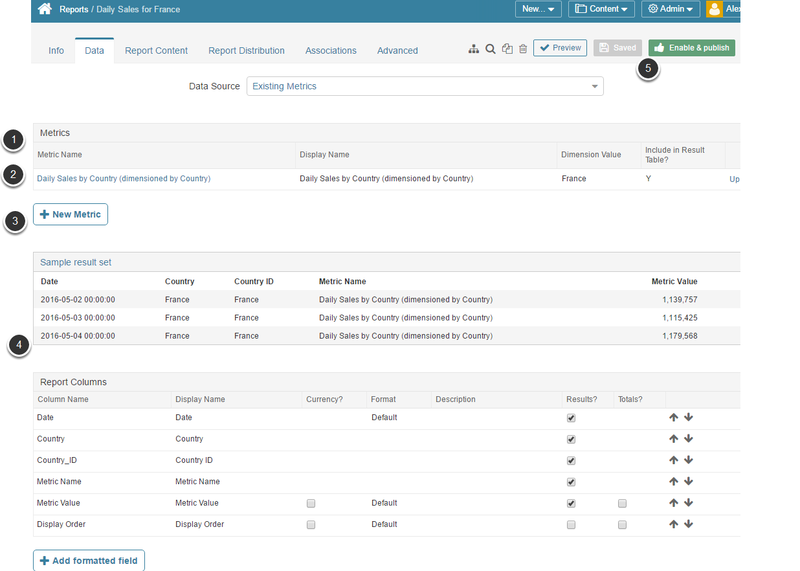 This allows you to be able to view all of that data in a tabular report and create Pivot Tables containing that data. Measurement Time and Values are combined into one comprehensive data set. The results can be shown in a Results Set Table or in Pivot Tables or Charts added to the Report. 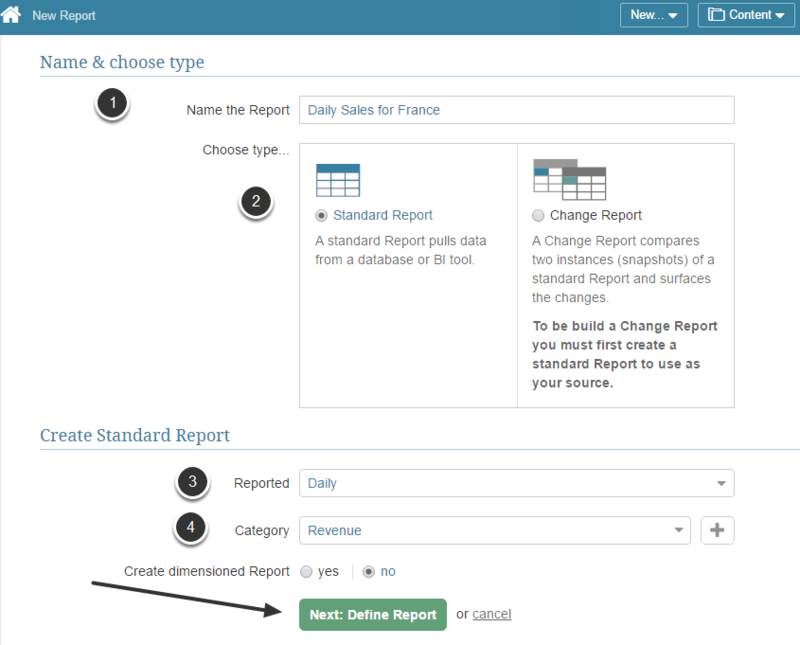 Note: The format of the Report Creation Wizard and Report Editor is slightly different in various versions. Set Include in result table to "yes"
Ensure that the selected Metric is in the Metrics grid. If desired, click [+ New Metric] to select additional Metrics.